Shop for Cross Pens at Macintyres of Edinburgh and save up to 50% off RRP. 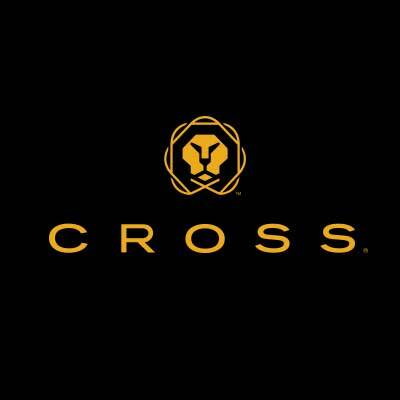 Cross Pens have been manufacturing high quality writing instruments since 1846. Lifetime mechanical guarantee. Cross Pen refills available in-store. Black lacquer with 23ct gold plate appointments rollerball pen with click off cap. Lifetime mechanical guarantee. Premium gift box. AT Cross classic century 10 karat gold filled/rolled gold ballpoint pen with 23K gold plated appointments. - Lifetime mechanical guarantee - Premium gift box. Platinum plate and medallist finish with 23ct gold plate appointments ball point pen with twist cap. Lifetime mechanical guarantee. Premium gift box. Deep Purple lacquer and smooth lustrous polished chrome finish roller ball pen. Lifetime mechanical guarantee. Premium gift box. CrossTech3 Lustrous Chrome Multi-Function Pen. A great multi purpose twist pen with three writting tips black ball point, red ball point and a pencil with eraser in screw-off top. Also has a 8mm stylus compatible with most touch screens. - Lifetime mechanical guarantee - Premium gift box. Cross Tech3+ lustrous metallic blue satin finish with chrome appointments. A great multi-purpose twist pen with three writing tips: black ballpoint, red ballpoint and a pencil with eraser in a screw-off top. Also has an 8mm stylus compatible with most touch screens. Lifetime mechanical guarantee. Premium gift box. Brighten up someone&apos;s day with this elegant, green pearlescent ivory floral ballpoint pen with 23ct gold plate appointments. Inspired by floral henna patterns. Lifetime mechanical guarantee. Premium gift box. Brighten up someone&apos;s day with this elegant, green pearlescent ivory floral rollerball pen with 23ct gold plate appointments and a twist off cap. Inspired by floral henna patterns. Lifetime mechanical guarantee. Premium gift box. Century chrome pencil. The iconic slim silhouette shines brightly in a polished chrome-plated finish. Lifetime mechanical guarantee, supplied in a Premium gift box. Black lacquer and chrome ball point pen and mechanical pencil set from the Classic Century collection. Lifetime mechanical guarantee. Premium gift box. Townsend medallist chrome and 23 karat gold plate ballpoint pen. Art deco design with the signature double band and seperate lid. Lifetime mechanical guarantee, supplied in a Premium gift box.